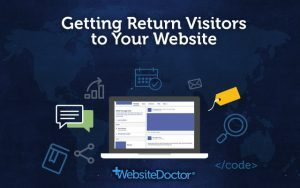 As website owners, we put some effort into setting up analytics so that we can find out where people are arriving from when they appear on our websites. 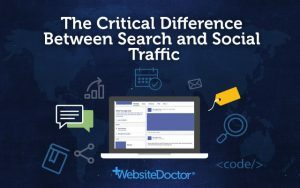 We know how many came from Google and organic SEO, how many came from PPC, what keywords they searched for, and who came from social media, etc. But it’s rare that we know where people are going to when leaving our sites! or you might just be curious! 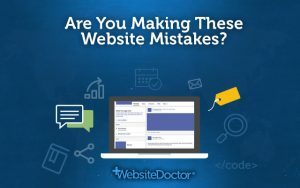 Some of these methods also allow you to create shorter, branded “pretty” URLs, and allow you to change a URL on many different pages from just one location. Link shorteners like bit.ly, is.gd and tinyurl were originally setup to make long URLs shorter to squeeze them into places where there is space limitation like email, the 140 characters of twitter, phone SMS messages, etc. But some shortlink services now provide a lot of analytics data when you use them as a signed in user. How to do it: sign up for a free account on Bit.ly. When you’re signed into your account, create a new shortcode for your link, e.g. http://bit.ly/zAy4rv. Change the outgoing link from http://www.outgoingdomain.com to http://bit.ly/zAy4rv. To view the statistics go to http://bit.ly/zAy4rv+ (the short URL with a + plus on the end) – this will show you the bit.ly “Info Page+” page for this link which includes the total number of clicks, Tweets and Likes, as well as referrer information like countries, web browser, etc. If you use a Content Management System (CMS) like WordPress on your website, then you can use a plugin that redirects and tracks links for you. 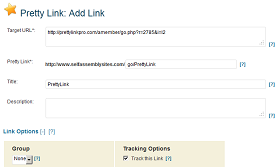 A really powerful plugin like Pretty Link makes outgoing link tracking incredibly simple. How to do it: install & activate the Pretty Link plugin, click on Add New Link on your dashboard, fill in the URL and hit Create. 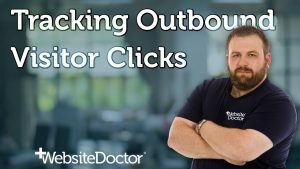 Copy the resultant link and use that to link to the target website – the plugin will now count how many outgoing clicks it gets. You can use this to create URLs such as example.com/go/company. You’ll often see these used for outgoing links, particularly for affilate links. These are used for ease of management, tracking, branding, cloaking links to preventing hoplink theft, etc. The advantage of these kinds of pretty links is you can track all the clicks from that URL, they make the long ugly affiliate URLs into a short pretty branded URL, and we can change the URL on a lot of pages if needed. For example, recently StudioPress changed their affiliate program provider from E-Junkie to Shareasale. If you did not have this option, then you would need to edit each page that the link appears on and change it manually. 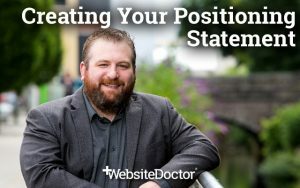 With this plugin, you simply change the redirect location on one link – example.com/go/studiopress, and it’s changed it on all pages! 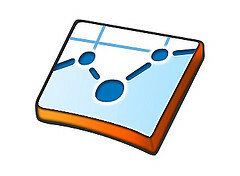 You can use Analytics to track clicks on links by manually tagging the outbound link that you want to track. This only works if the visitor clicks directly on the link and does not record visitors who choose “Open in New Tab/Window”. A more advanced method for those happy to get their hands dirty with a little programming. What you need to do is add a script to your website which is called whenever you have an outgoing link (we have a free example below). This script should add to a counter every time someone leaves your site via this link, and you should be able to view the count either directly in the database, or create another script to view stats. One free example script to do this MyRedirector, a PHP script by Mark Kronsbein. To install the script, copy the code and separate it into the 3 files – the redirect script, the view stats script and the database creation script. Create the database table and edit the other two scripts with the correct access details. For an average programmer, this is less than 5 minutes work. Once that is set up, just change the outgoing link from http://www.outgoingdomain.com to http://www.yoursite.com/redirect.php?url=http://www.outgoingdomain.com where redirect.php is the name you used. Advanced note: by default this particular script gives back a 302 to the browser. This is a good thing, since unlike a 301, a 302 status code means that the redirect should not be cached and the browser should retrieve the same location again. Do you have any suggestions for other methods – or improvements to the methods I’ve listed here? Or do you have any questions on particular methods, when to use them, or even the code involved? Tweet me with your thoughts. Post inspired by this question on boards.ie. I specialize in helping consultants, speakers and published authors to increase their sales. Unlike other marketers, I focus on customer lifetime value before focusing on conversion optimization. I’ve been building websites and software since 1996 and co-founded several software, web and information based startup companies and provided solutions for businesses and organisations of all sizes. I am the author of Running a Website with WordPress: A Quick Guide for Business Owners, available from Amazon in print and Kindle editions. I blog, and make media of all kinds at WebsiteDoctor. 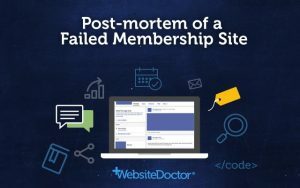 © 2007-2019 WebsiteDoctor. All Rights Reserved. 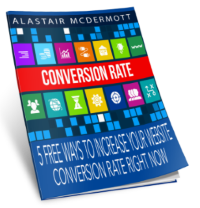 This free guide will show you 5 different free methods to massively increase your website conversions (sales and opt-ins). It will also show you HOW and WHEN to use these methods, all with the goal of increasing your online sales. You have successfully requested the free guide, please check your email in a couple of minutes to find out how to download. This free guide will show you 5 different free methods to massively increase your website conversions (sales and opt-ins). It will also show you HOW and WHEN to use the methods, all with the goal of increasing your online sales. Yes, Please Give Me The Free Guide! 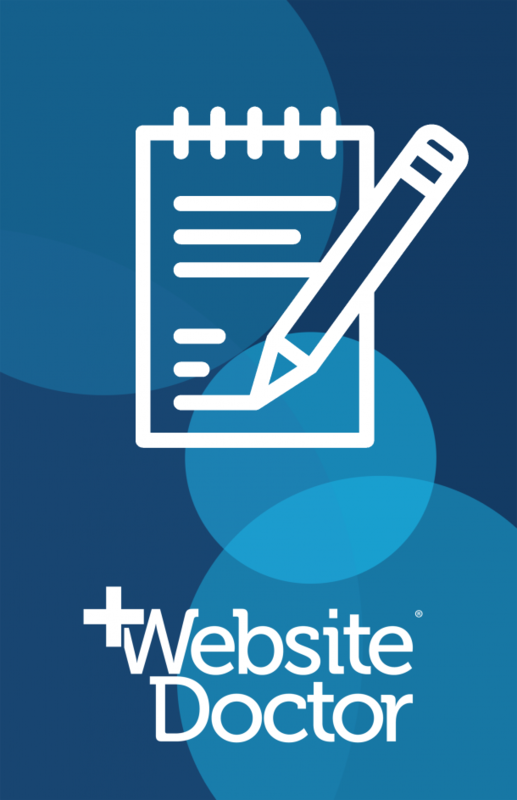 By downloading the guide, you are consenting to receive occasional email updates from WebsiteDoctor. We do not spam, and respect your email privacy.